Simply Elegant is a supporter of Hospice Calgary. To bring awareness to this cause and raise funds to support the organization, we wanted to do something special that would include our clients and colleagues. 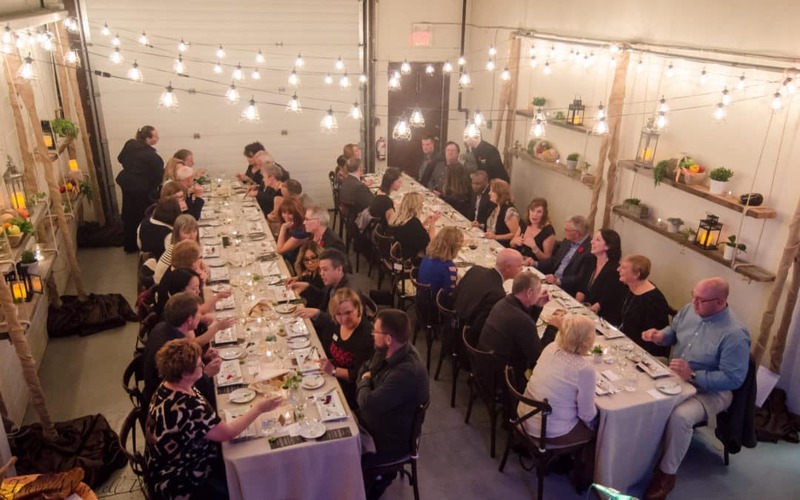 Our management team decided to host an event at our shop to feature food provided by local producers prepared in-house and paired with Canadian wines. With this concept in mind, it wasn’t long before we had secured sponsors from local suppliers for an elegant 5 course meal. The local suppliers included Poplar Bluff, Glengary Bison, Orchid Pastries and Alberta Cheese Company. Beverages were expertly selected by Pacific Wine & Spirits featuring Henry of Pellham Family Estate wines. Here is a “taste” of the meal our Executive Chef and kitchen team, along with our Director of Catering and Beverage, designed to delight our guests. 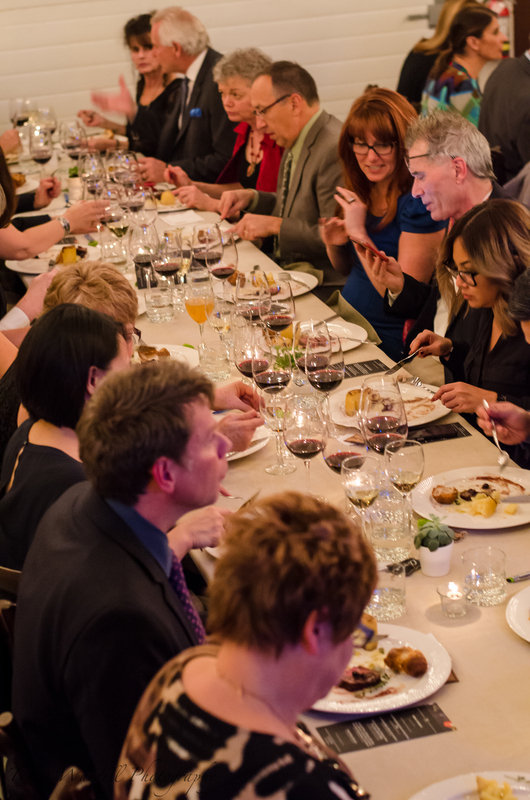 This post contains only a small selection of images from our last Harvest to Table event. View the entire image gallery! Poplar Bluff generously donated vegetables for the Roasted Parsnip & Apple Soup with Crispy Parsnip Chips. 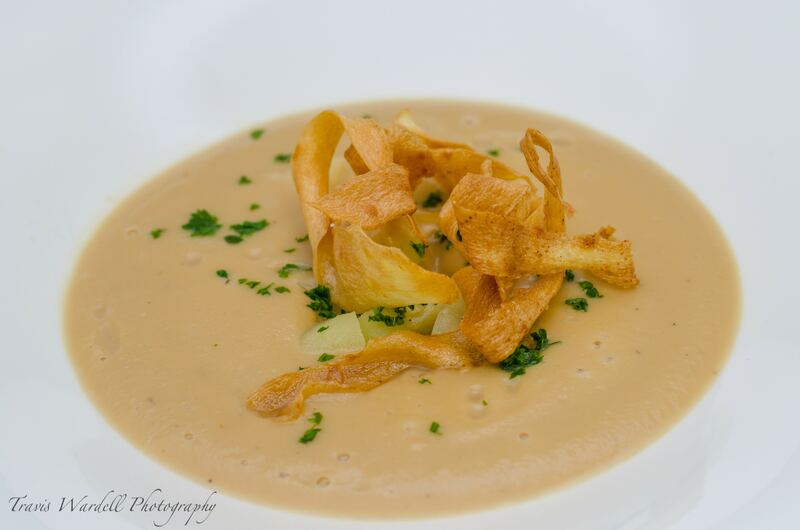 This silky soup was paired with Henry of Pelham Sibling Rivalry White Wine 2014. 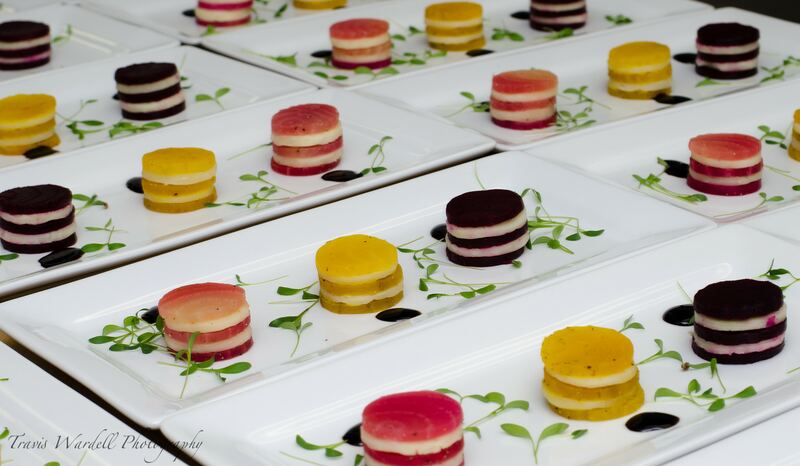 Poplar Bluff also provided the vegetables for the Trio of Roasted Beets & Fiore de Latte Napoleons. This tasty treat was paired with Henry of Pelham Chardonnay 2014 VQA. Glengary Bison provided bison for the main entrée. 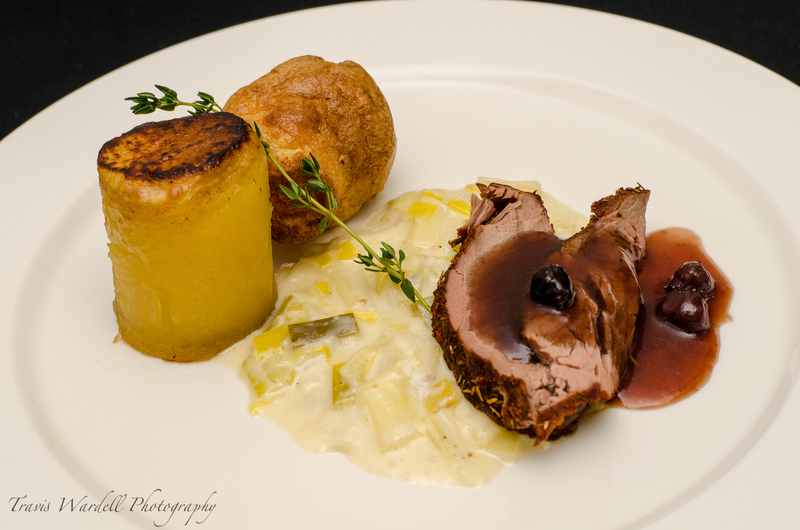 The tableside dish included carved bison tenderloin, fondant potato and mini Yorkshire pudding and was paired with both Henry of Pelham Old Vine Baco Noir 2012 VQA and Henry of Pelham Estate Cabernet Merlot 2014 VQA. The two wines were meant for guests to try out each to get the full richness from the bison. 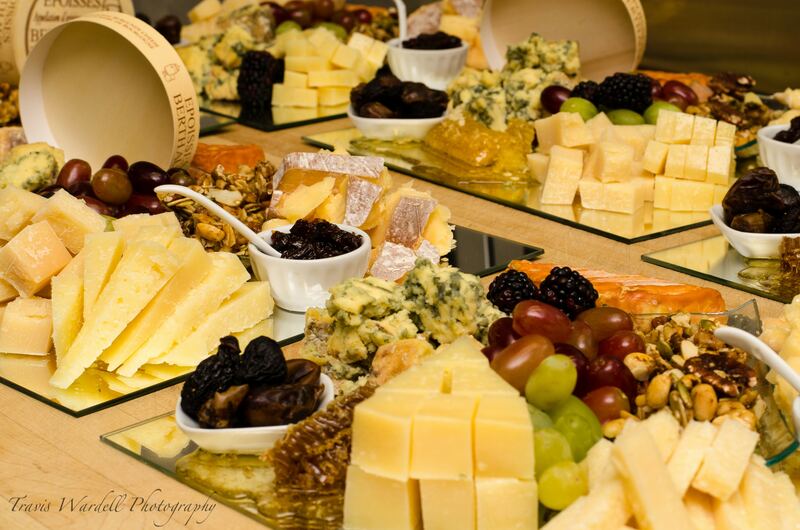 A platter of flavourful cheeses provided by Alberta Cheese Company. The hand selected cheeses were paired with Henry of Pelham Riesling Ice Wine 2014 VQA. 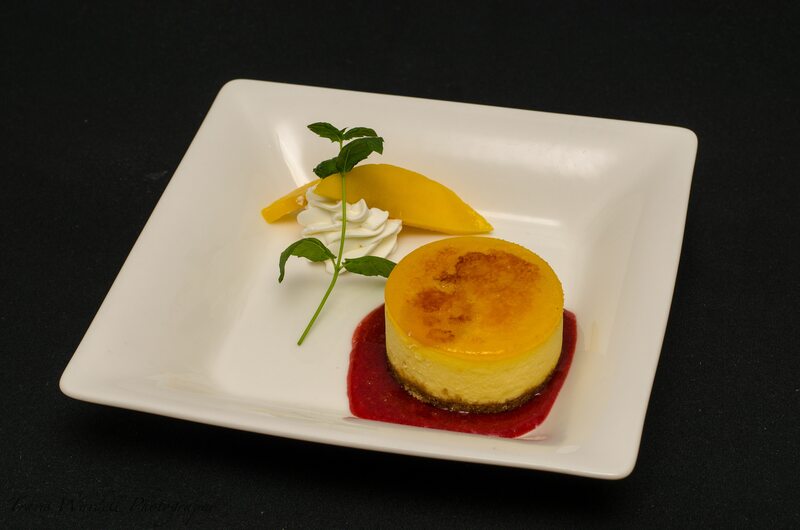 Dessert included a bruleed Mango Cheesecake from Orchid Pastries. This creamy dessert was paired with Fonseca Guimaraens Vintage Port 2005. To enhance the evening, our décor specialists took on the challenge of transforming one of our bays into a country style theme. 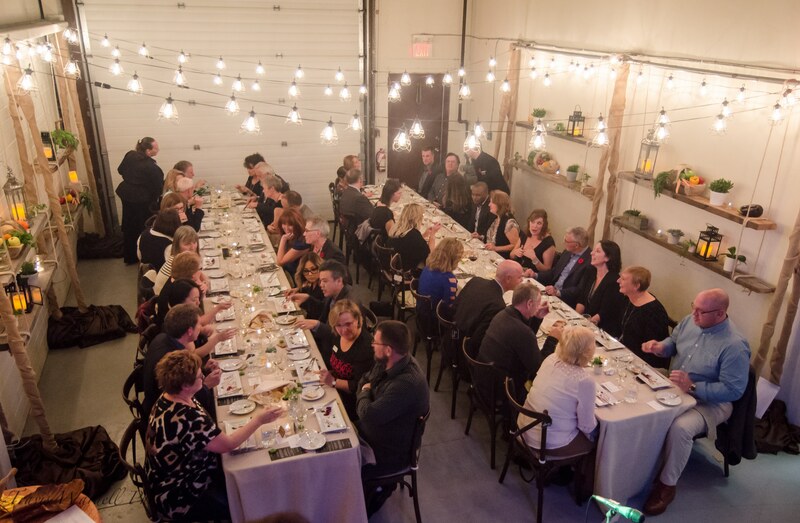 Special lights strung across the room created an intimate atmosphere and barn boards were placed along the walls to enhance the farm feeling that inspired our harvest theme. Entertainment for the evening included Tippy Agogo, a local musician who was inspired by the cause. 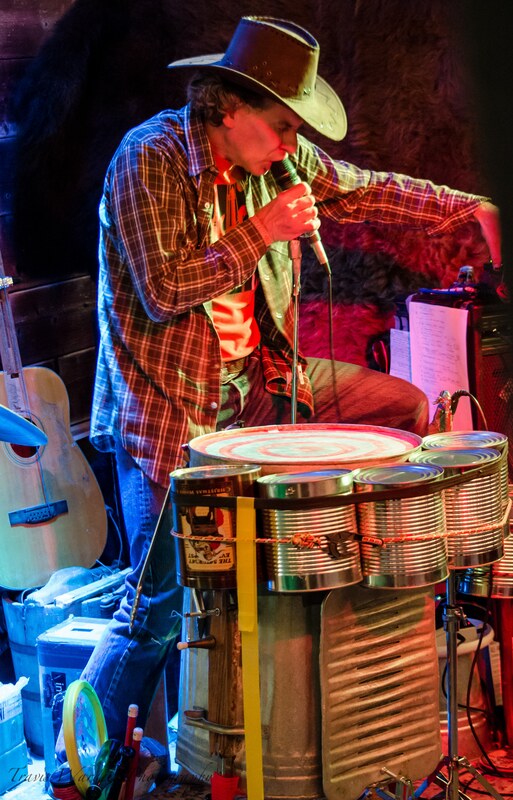 His years of experience in the performance and study of percussion, theatre, folk dance, and ethnic music contributed to the harvest theme with his use of unusual “pots and pans” instruments. Funds were raised by way of a special auction item. Anvaya Beach Resorts of Bali donated a 7 night stay for 2 at their resort. Guests were invited to provide their hidden bid to claim this amazing opportunity! Winner of this fabulous opportunity was Darryl Golbeck. The total amount donated to Hospice Calgary from ticket sales and the auction item totaled $7100. In the end, all the guests had a wonderful time in this intimate gathering. The gourmet dishes paired with wines to enhance their flavours gained rave reviews! And most importantly, Hospice Calgary gained greater support and awareness. We are hoping to keep the momentum going by hosting similar event again next year. 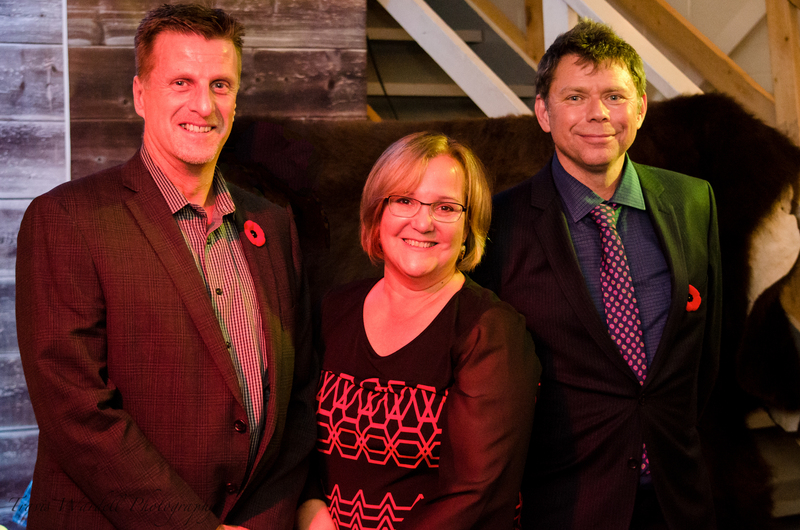 The response was positive for guests, our staff and, most importantly for Hospice Calgary.